Ensuring the prevention of damaging your products is crucial. By Using void fill and loose fill is one of the greatest methods of securing and preventing damage to your precious goods when in transit or storage. From Carton shredders to Loose fill chips, At The Packaging Site we have everything you need to ensure the safety of your goods. If you’re looking for a cost effective and environmentally friendly approach to safely secure your products there are a few options. 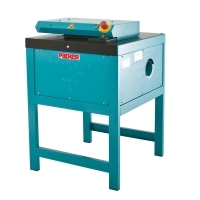 Carton shredder transform any used cartons into void-fill. This is an eco friendly approach and extremely cost effective way of saving of overheads. We offer several models to our customers, most of which are available with dust reduction facility and are CE/EMC compliant. The SpeedMan dispenser box is equally cost effective and environmentally friendly approach to the above. 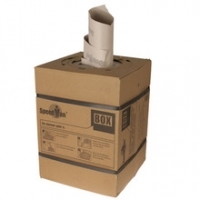 This accommodating dispenser box holds over 3 bags of loose fill, reaching 70x more original volume of paper, making it one of the most affordable void fill methods out there. Loose fill chips are a flexible, cost effective void fill solution. The loose fill chips ‘S’ shape has an interlocking characteristic, which inhibits products migrating while in transit or storage. 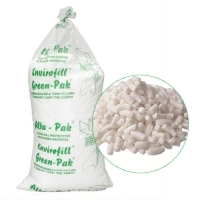 Loose fill chips are also environmentally friendly - completely reusable and made with a biodegradable material. Our loose fill chips are a BondMark™, accredited void fill. 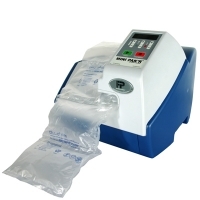 The Minimpk'R air cushion system produces air cushions from film rolls using compact machines that require no separate air supply. The low cost Minipak'R system can offer several configurations of cushions and the 'Air pouch express 3' offers a wide variety of film thicknesses and qualities including reprocessed and biodegradable. See our in-depth void fill product feature for more details.